Do you need to review how to write a resume? While it's only a page or two in length, a resume is one of the most important parts of a job application. Your resume is your most powerful tool in telling the story of your professional history to potential employers. It's important to choose a font and font size that is legible and leaves enough white space on the page. You also want to keep style features (such as italics, underlining, bold, and the use of bullets) to a minimum; reserve the use of boldface for section headings and for quantifiable achievements that you would like to have “pop” on the page (Example: “Secured and fulfilled $1.5M contract”). When you use a particular style, use it consistently. Spend some time matching your qualifications to the job to ensure you're including the appropriate keywords and skills. In addition to helping your resume get selected, it will also help the hiring manager see how your skills and experiences make you an ideal candidate for the specific job. Review the descriptions you've written for each job. Are they going to show the hiring manager why you're a good match? Do they sound impressive? Take a couple of minutes to tweak them a little so they look super impressive. Along with resume examples, you can use a resume template as a starting point for creating your own resume. Add your information to the resume template, then tweak and edit it to personalize your resume so that it highlights your own unique skills and abilities. Download the resume template (compatible with Google Docs or Word Online) or read the example below. Performed all cash handling and credit transactions with 100% accuracy. Processed checkout and return transactions, provided solutions to customer queries and issues, and coached and trained new hires. Leveraged strong product knowledge to educate customers and maximize up-selling and cross-selling opportunities. Promoted to role as Head Cashier six months after initial hiring as Cashier. Earned 3 “Employee of the Quarter” awards. Concurrent with education, provided attentive customer service to patrons of popular local restaurant. Greeted guests, provided menu recommendations, and took orders; helped to maintain dining room. Trained and mentored new wait staff in winning customer service techniques. Earned frequent commendations from restaurant guests for cheerfulness and creation of positive dining experiences. Read through samples that fit a variety of employment situations. These sample resumes will provide you with examples of resume formats that will work for almost every type of job seeker. They also help you see what kind of information to include. 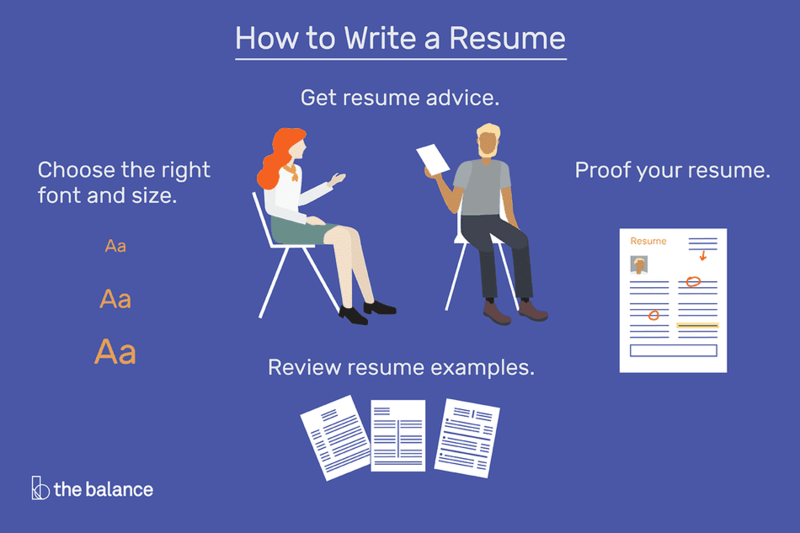 Writing a resume is hard work, and it's often a good idea to get help before you send it to employers. You can find resume writing advice and resume writing tips online. You can also meet with a college career counselor if you are a college student or alumnus. You might use a professional resume service instead or check with your state’s Department of Labor website for information on any free job services they offer. There are many great, free resume resources, so do some research before paying money for someone’s advice.